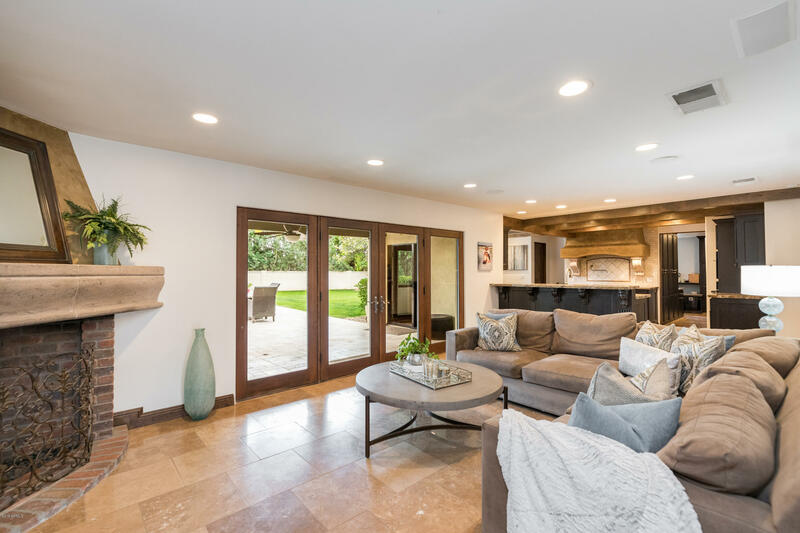 gas fireplace and 4 panel bi-fold glass doors that open to the covered patio and outdoor entertaining space. 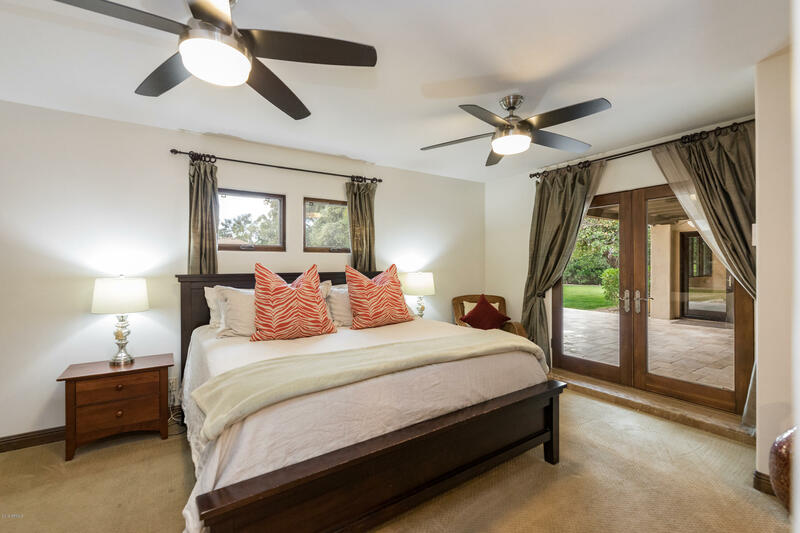 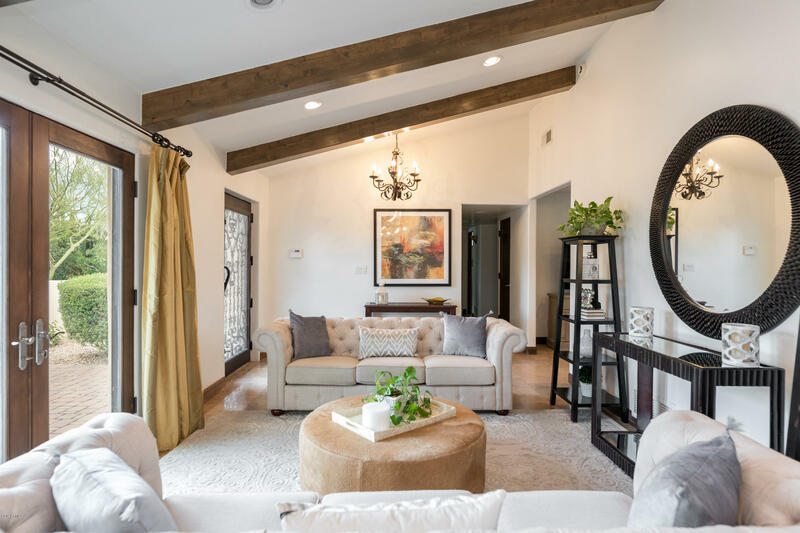 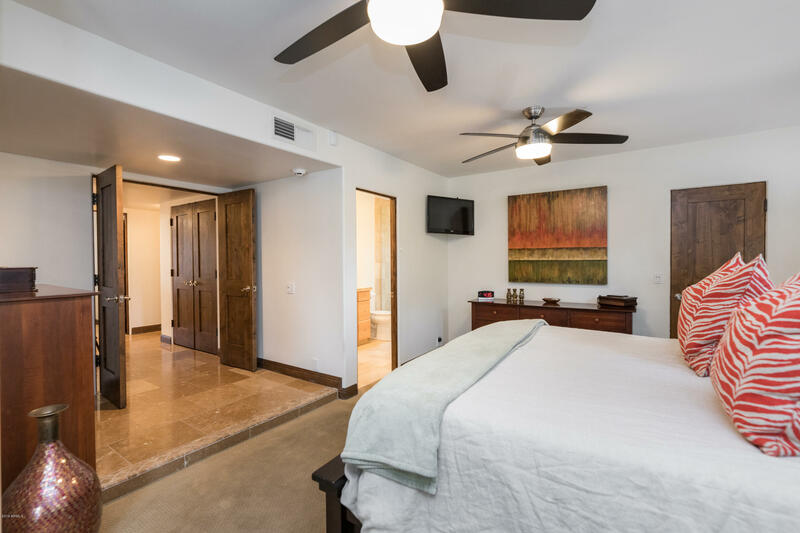 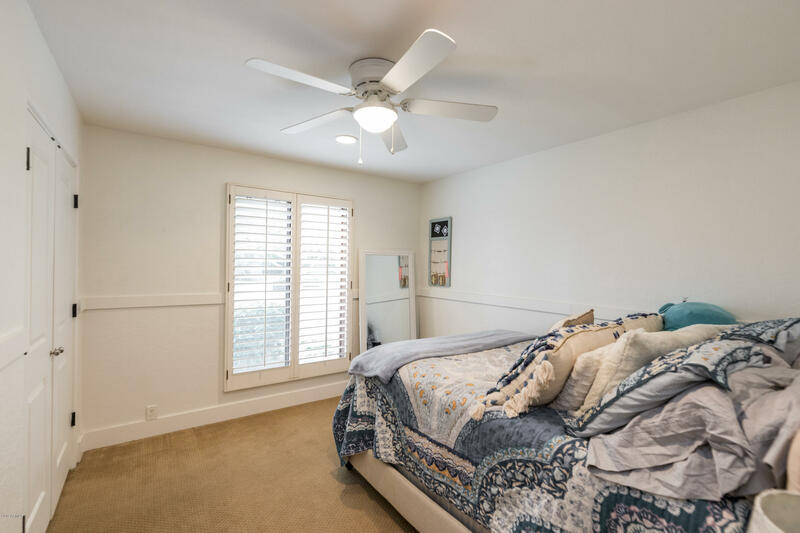 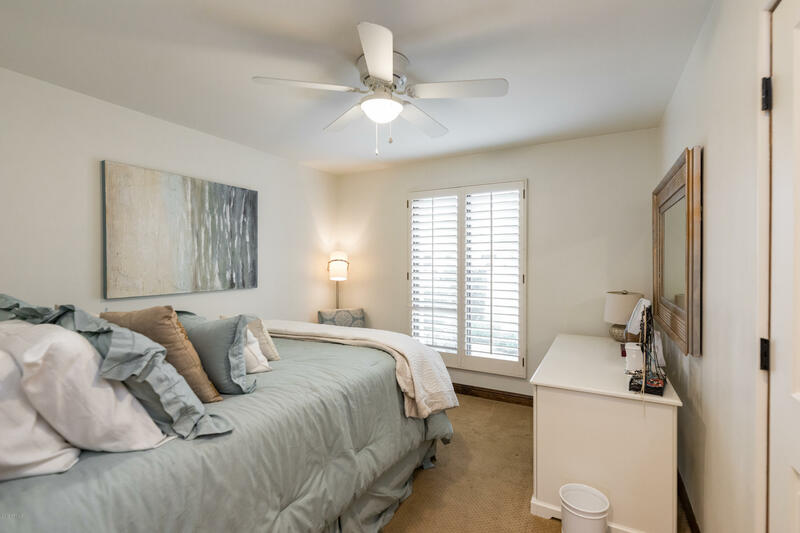 The master bedroom offers a large walk-in closet, glass walk-in shower, and french doors that also lead to the covered patio. 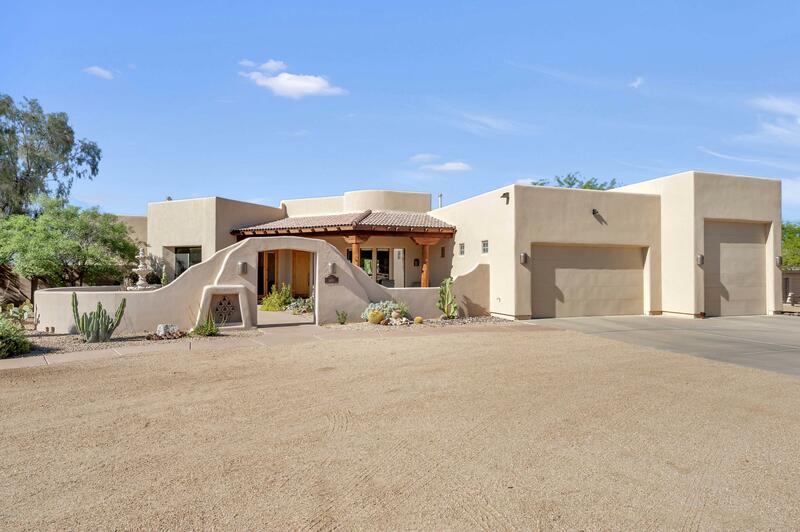 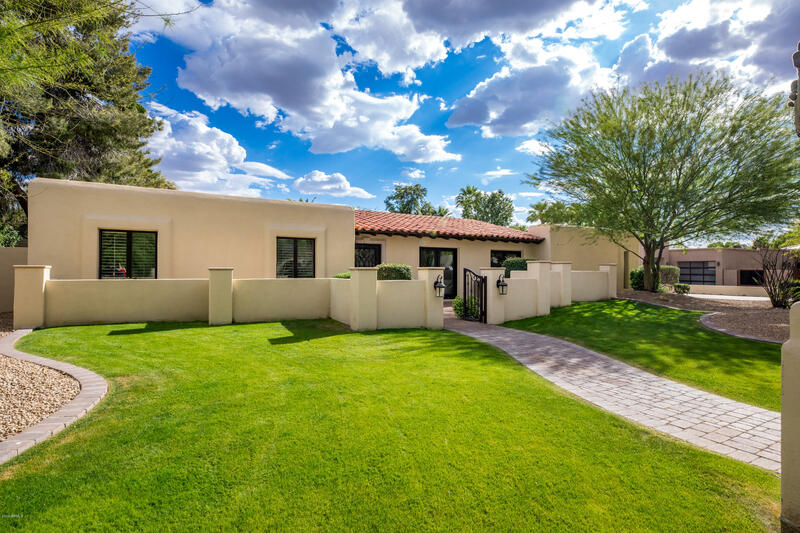 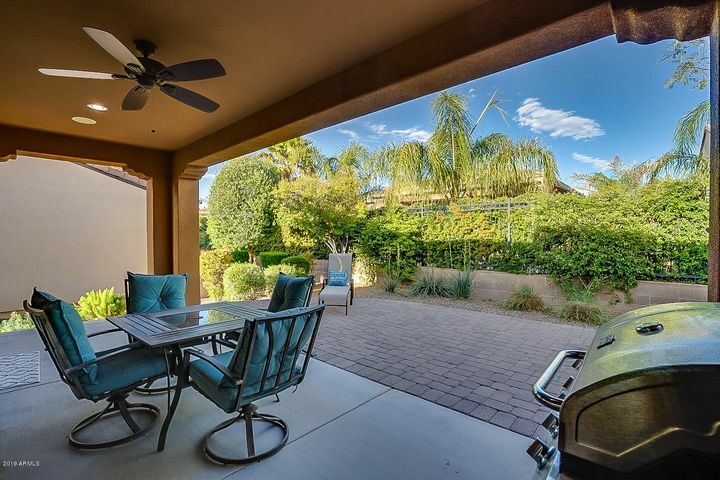 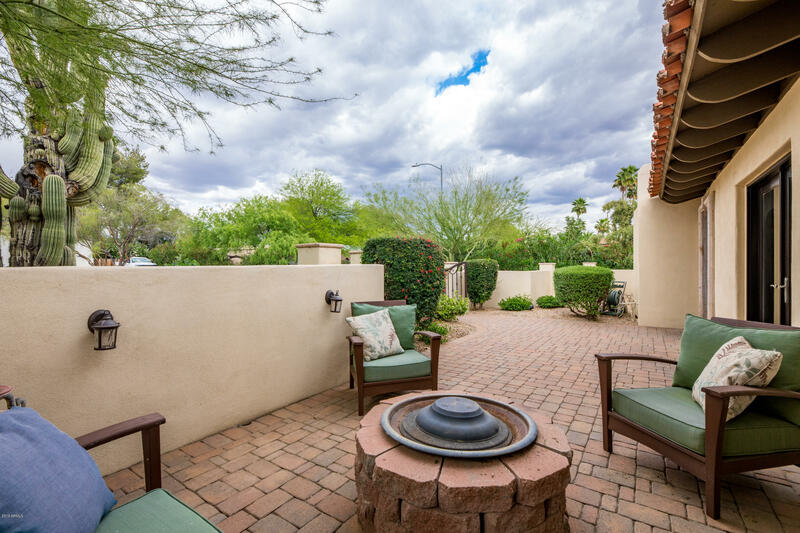 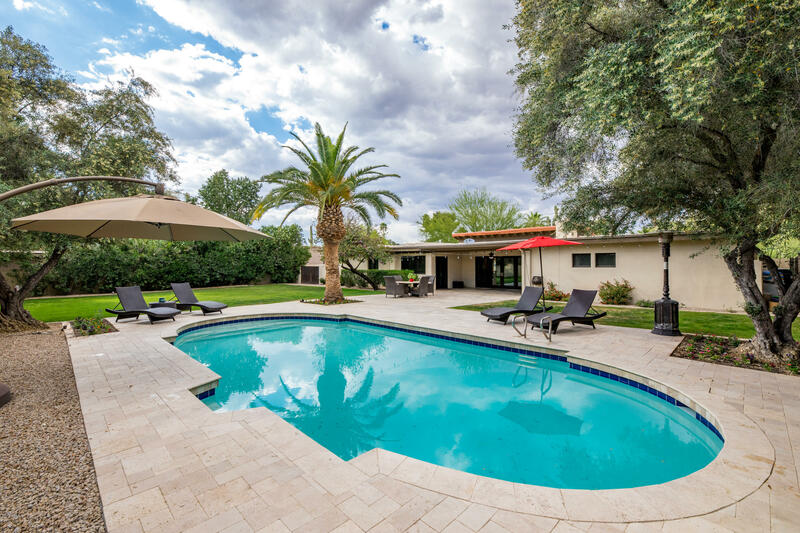 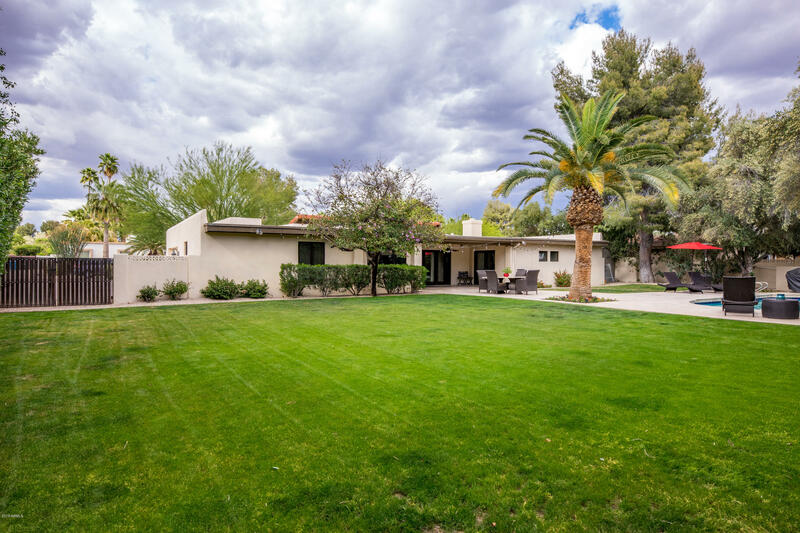 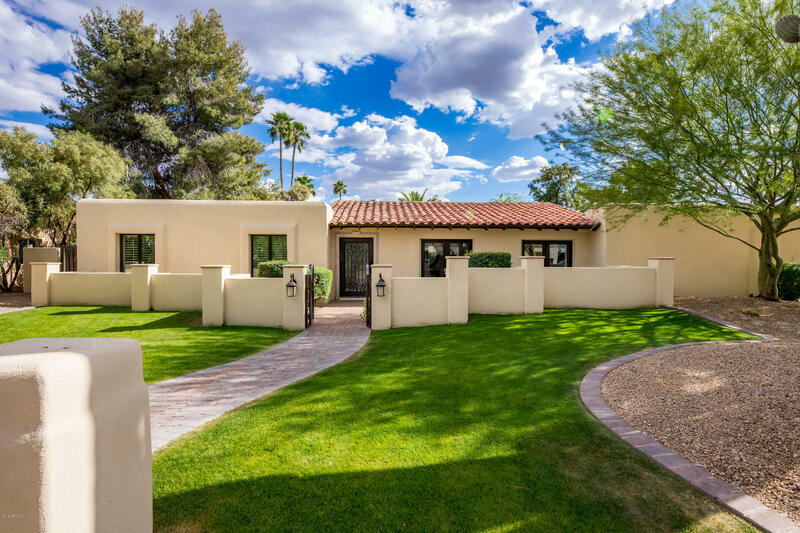 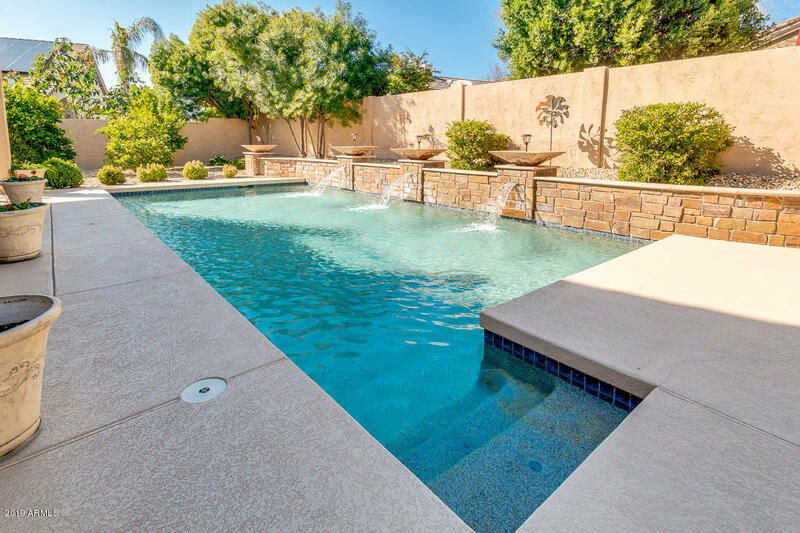 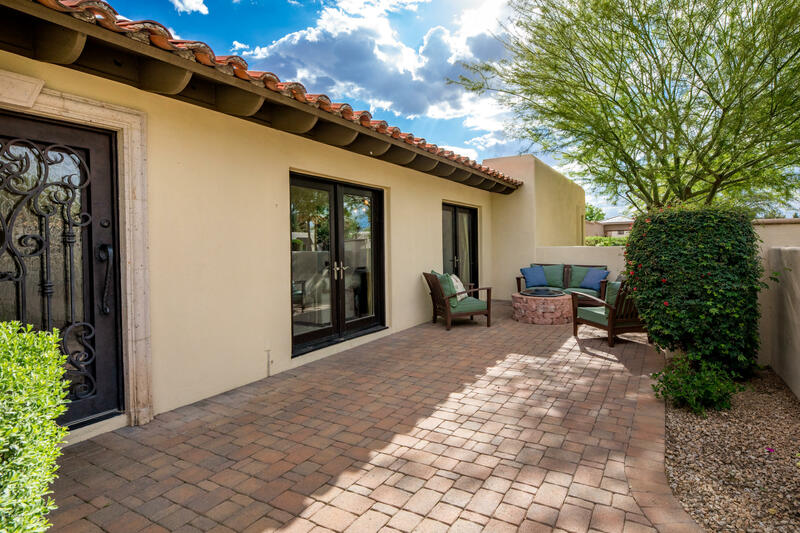 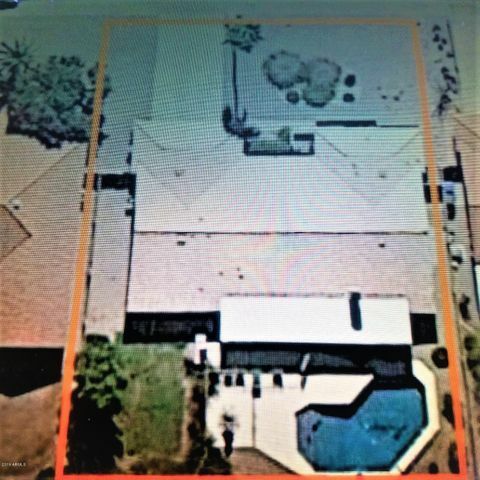 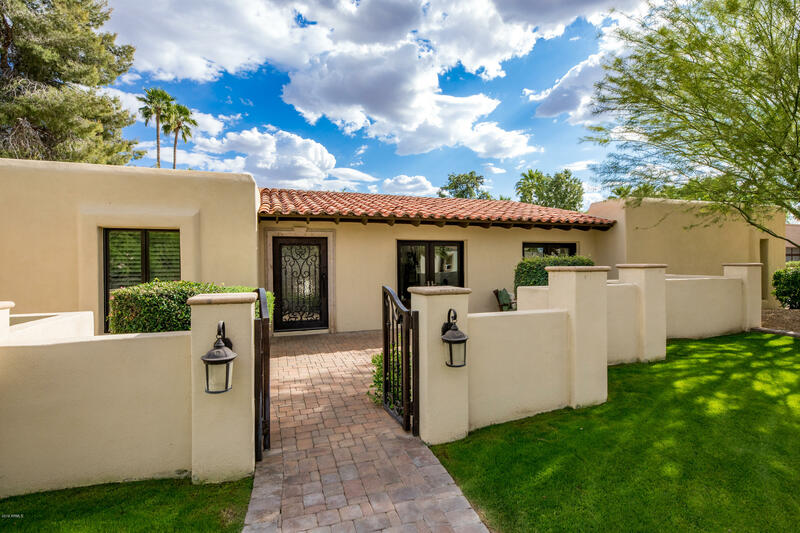 The oversized backyard retreat offers extensive covered & uncovered travertine patios (approx 4000 sq ft of patio space), expansive grass area, sparkling pool, mature desert landscaping & privacy. 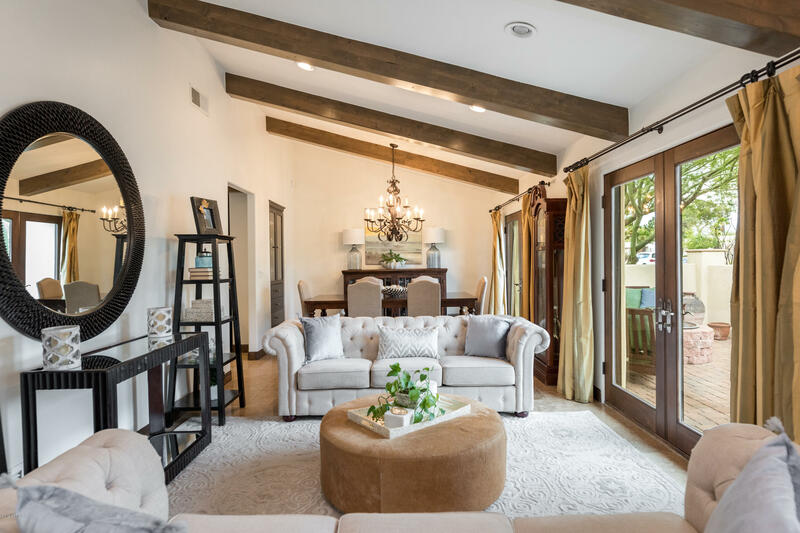 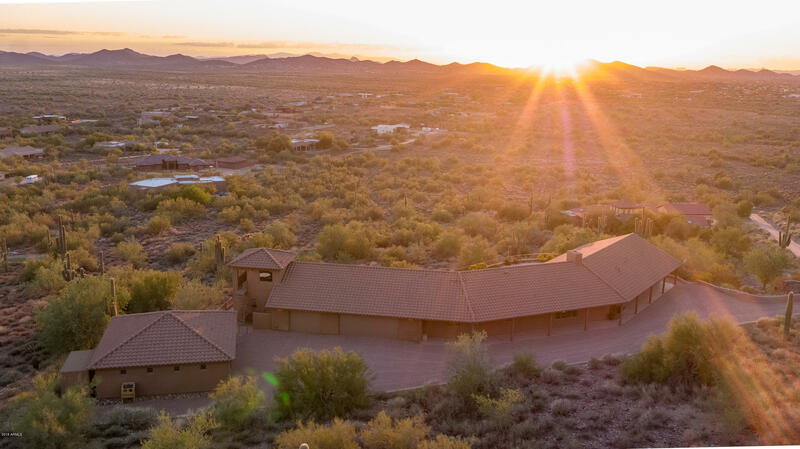 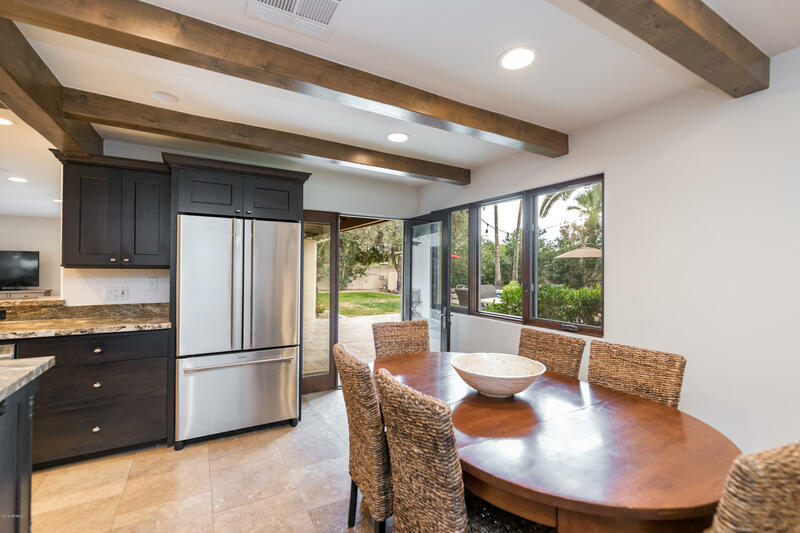 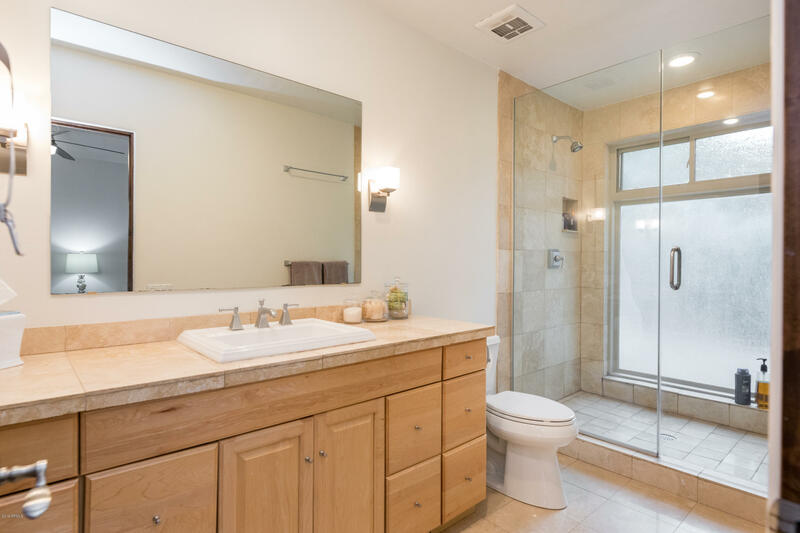 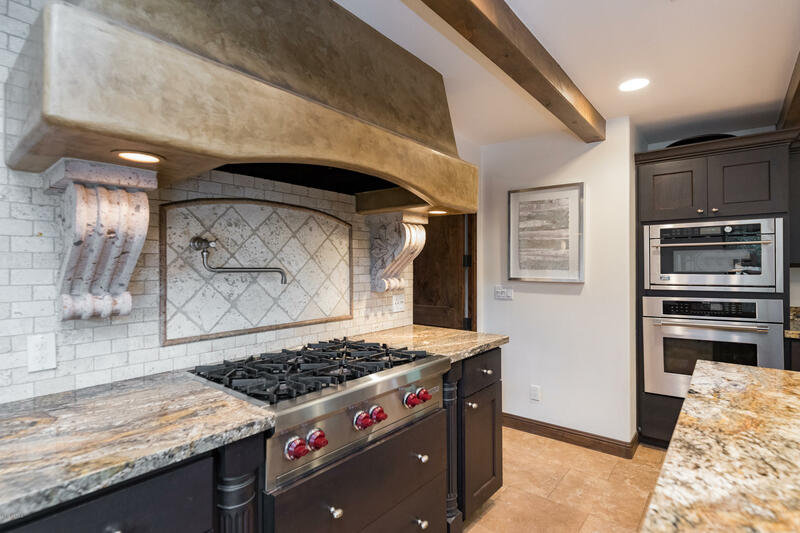 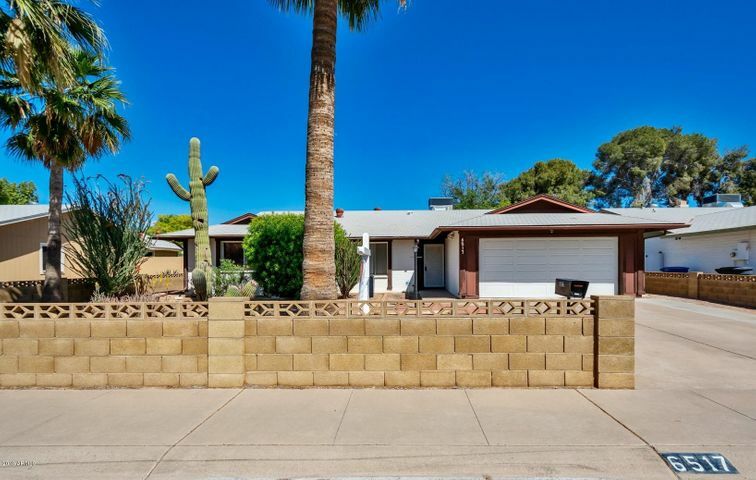 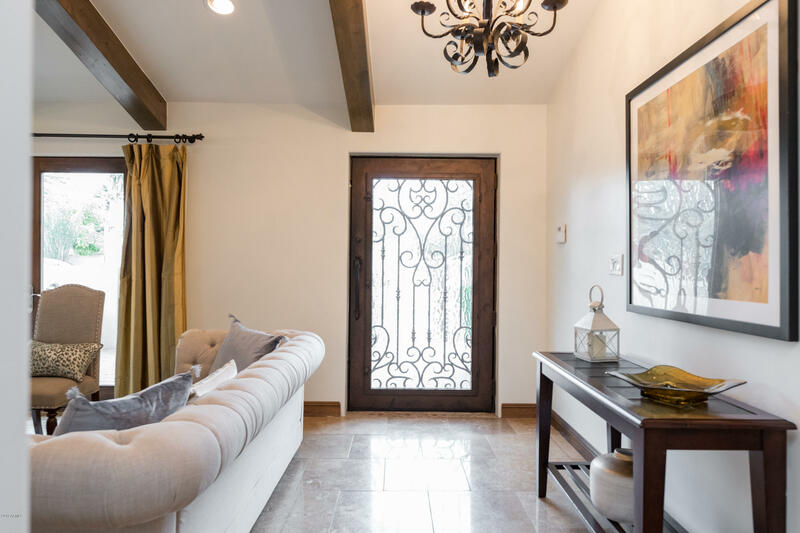 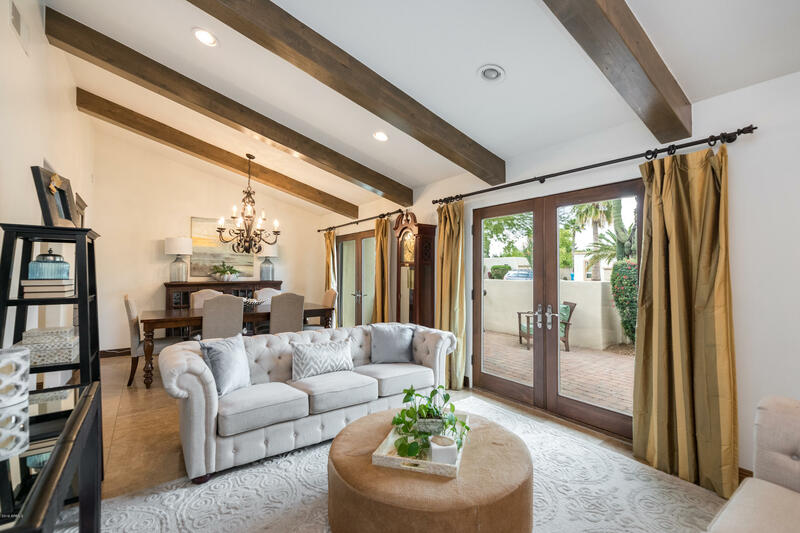 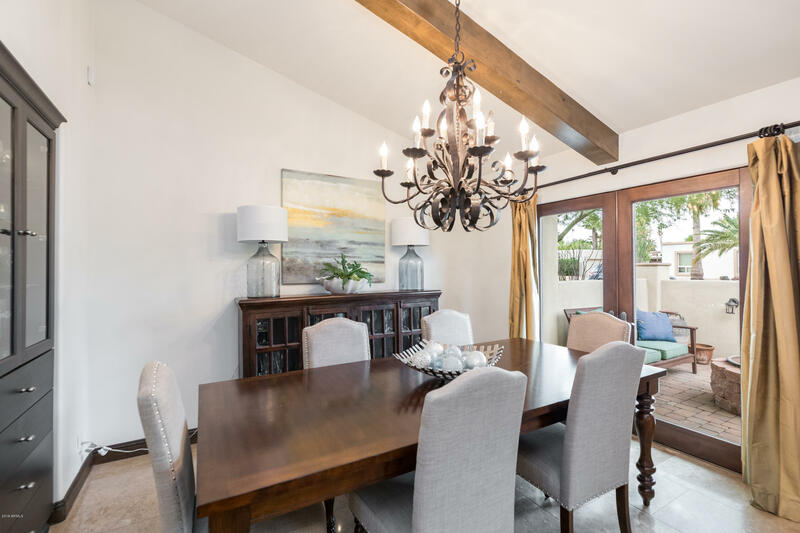 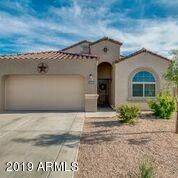 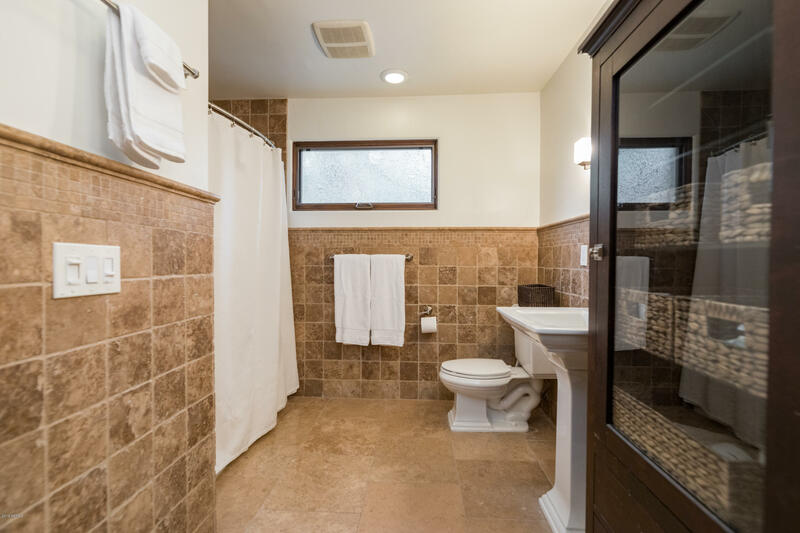 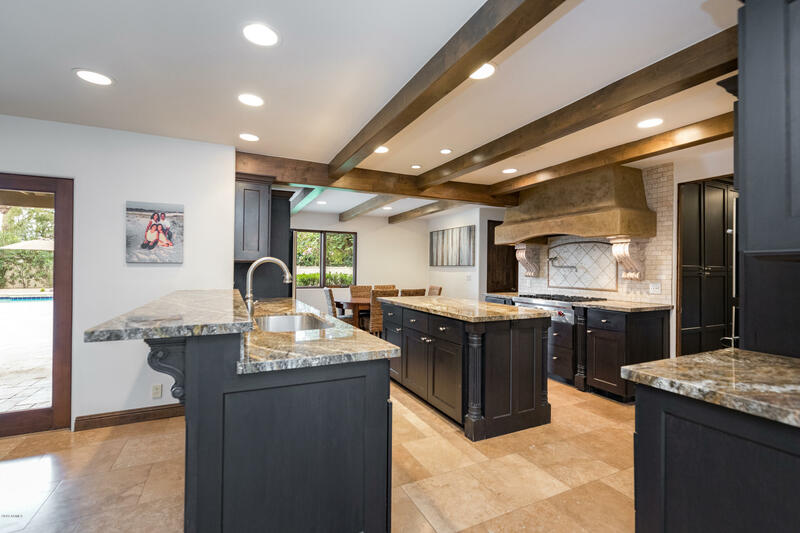 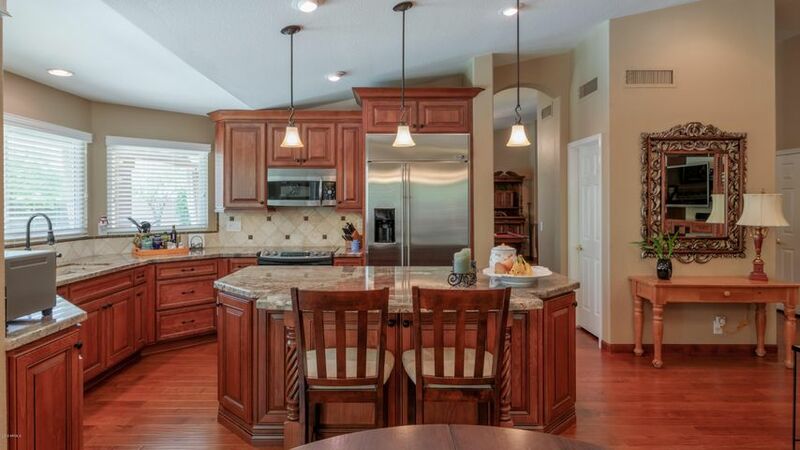 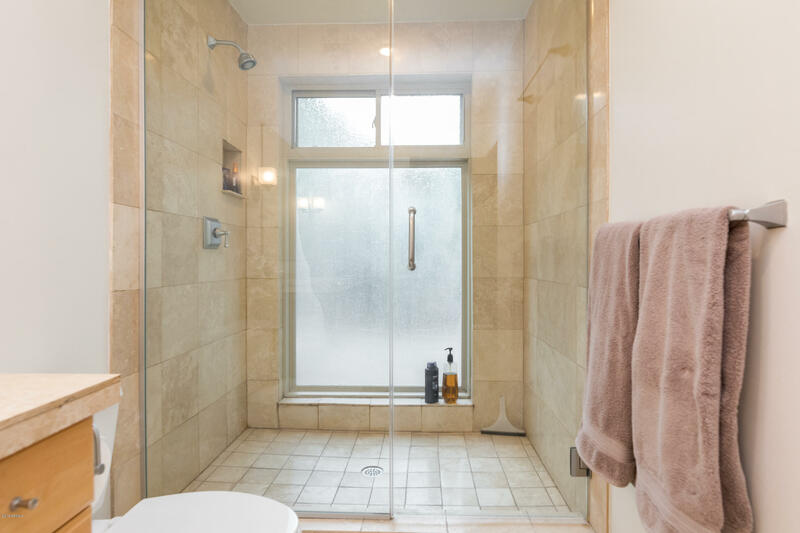 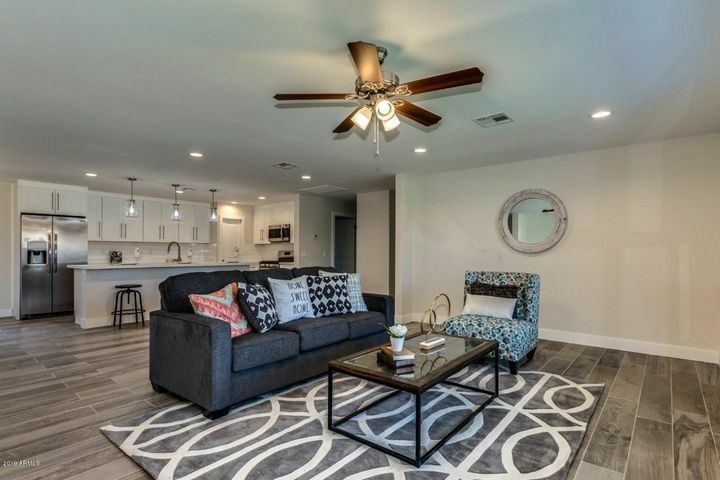 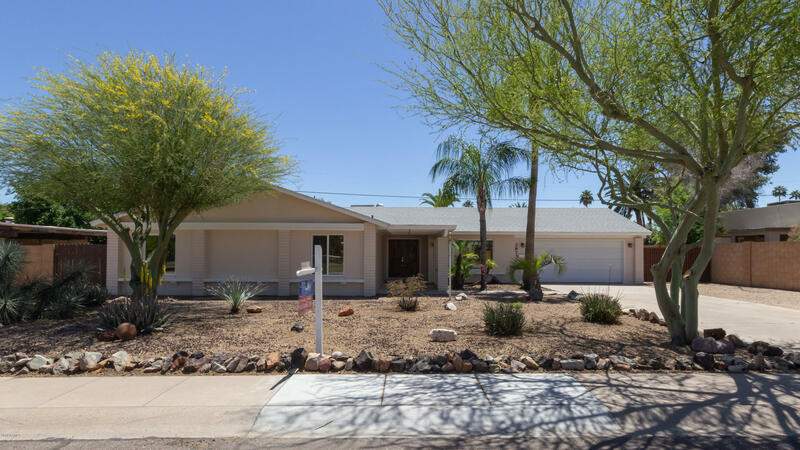 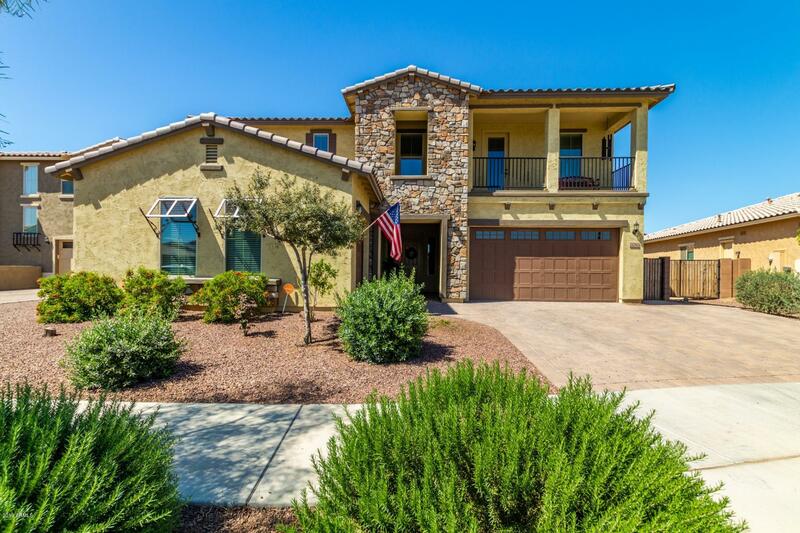 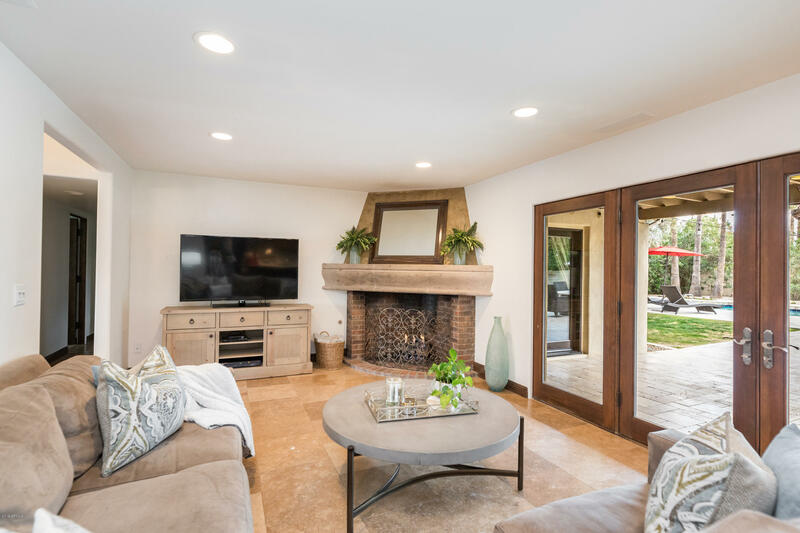 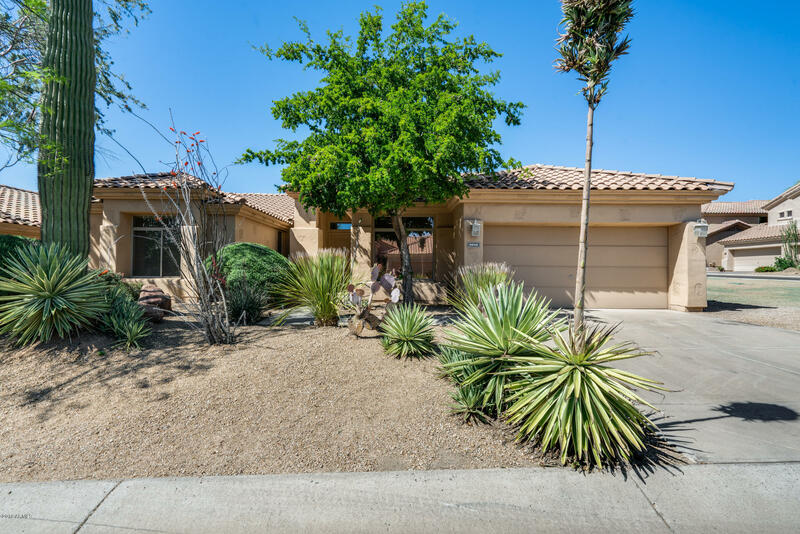 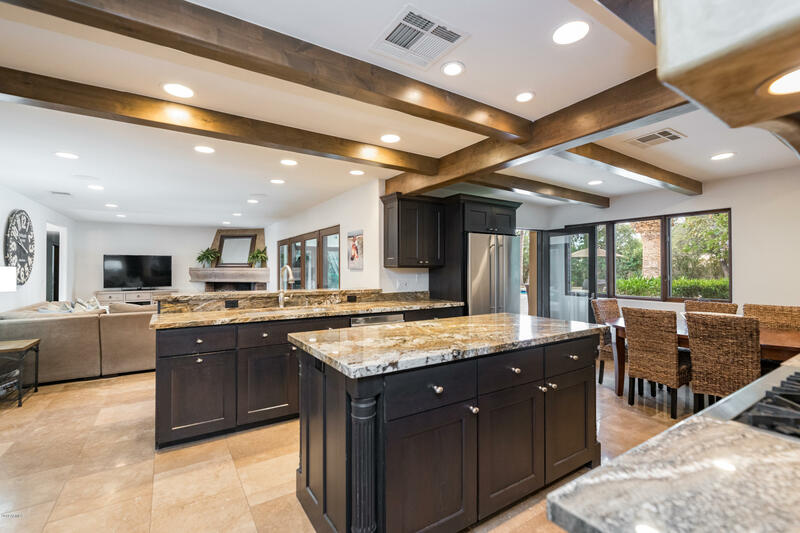 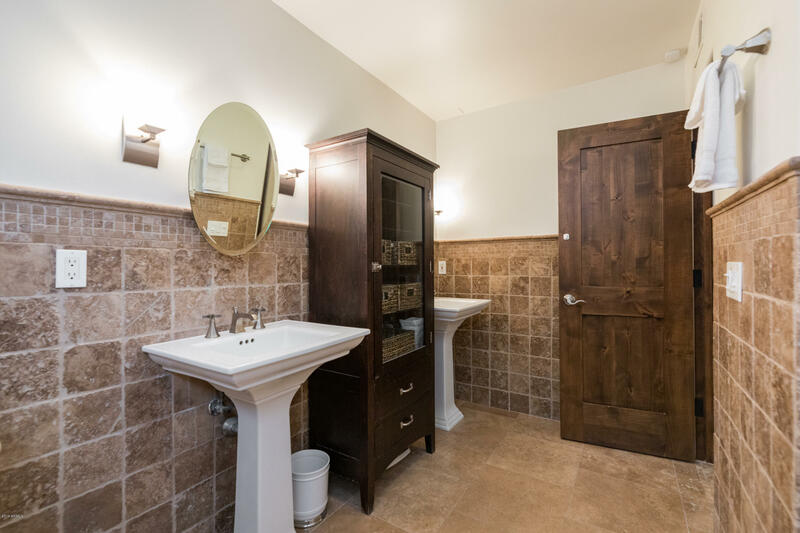 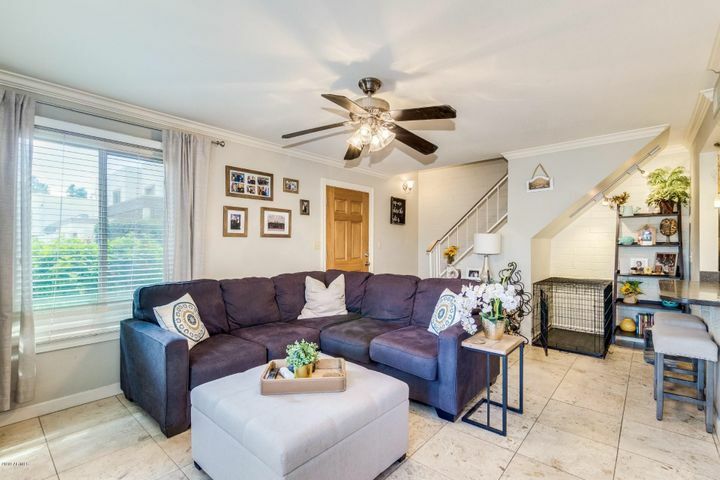 Additional features include a large utility/laundry room (added on), custom forged iron door & gate, solid alder doors, smooth walls, higher end windows & doors, new pool equipment, RV gate & parking, built-in garage cabinets and more. 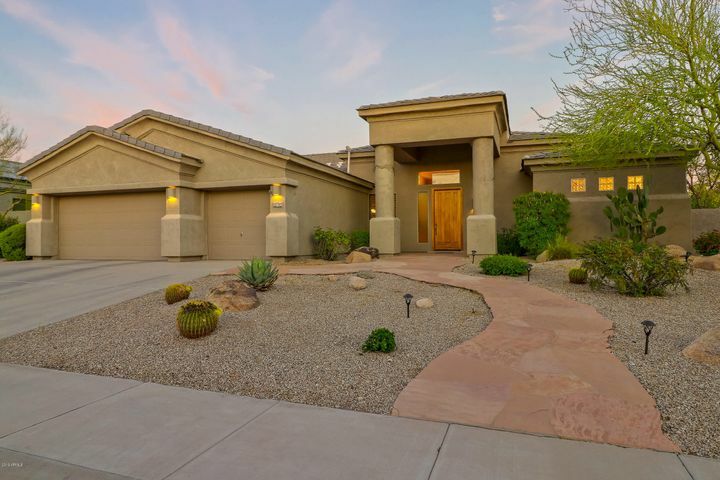 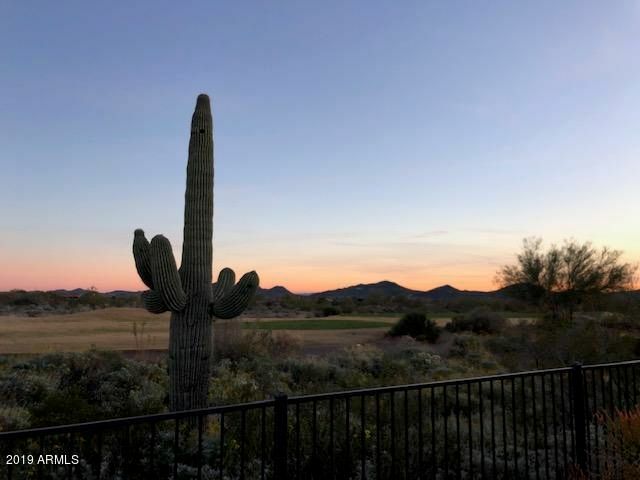 The Rancho Saguaro neighborhood is located in the heart of it all, offering convenient access to shopping & restaurants (Kierland Commons/Scottsdale Quarter, Paradise Valley Mall, Desert Ridge/High Street), Phoenix Mtn Preserve, top rated Paradise Valley Schools (Desert Shadows ES, Desert Shadows MS & Horizon HS), and both the 101 & 51 freeways. 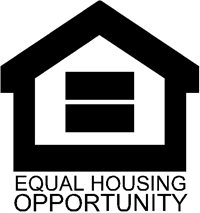 Great opportunity, won't last long.